No need to change the shape of your product. The vacuum cartridge fits directly into a machined cavity, becoming an integral part of your product and installed close to where the vacuum is required. 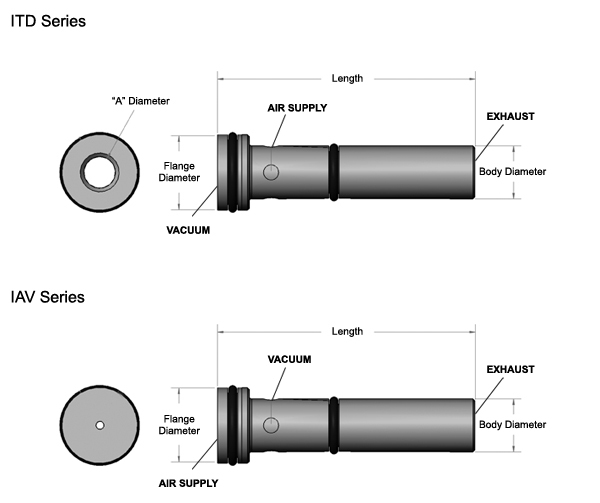 IAV & ITD Series Cartridges utilize "O"rings for sealing vacuum and compressed air passages. 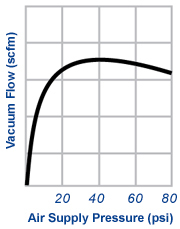 IAV Model generates high vacuum levels and are available in brass. Vacuum levels to 27.5"Hg. 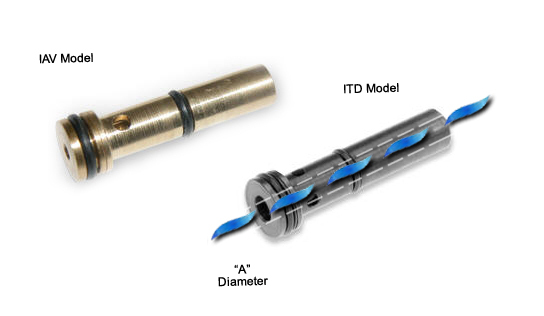 ITD Model provides a straight through vacuum passage ("A" diameter) and are available in steel. Vacuum levels to 24.8"Hg. 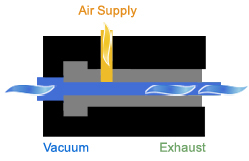 Compressed air flows through a small circular opening to generate a high velocity. 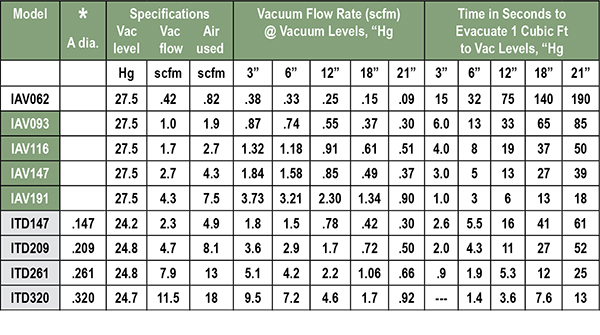 This air expands, resulting in decreased pressure to provide vacuum levels up to 27.5"Hg. The vacuum port is perpendicular to the air supply. Compressed air flows through a small annular opening to generate a high velocity. 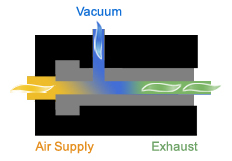 This air expands into an unobstructed vacuum passage allowing solid material to flow through the pump with no decrease in vacuum flow. 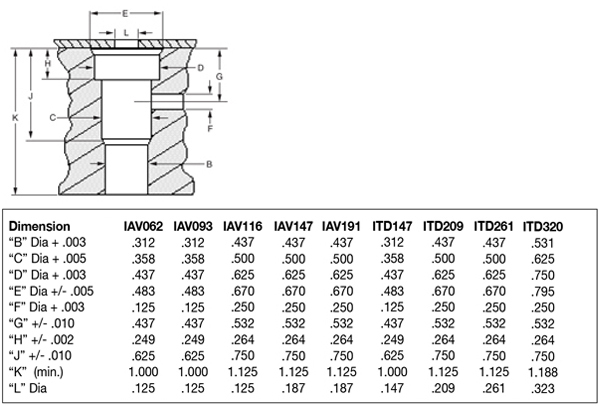 This design is capable of vacuum flows up to 11.5 scfm. • Initially the curve is very steep.